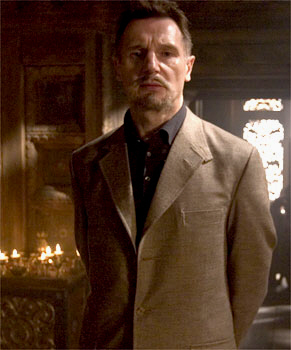 After denying it on several occasions, Liam Neeson finally gave in while talking with ShowbizSpy about being on set of THE DARK KNIGHT RISES. So, with that being revealed I can only guess he'll possibly be in a flashback seen as Ra's Al Ghul with young actress Joey King who has already leaked that she'll be playing a young Talia Al Ghul. How's that sound? Or maybe he was "just visiting". We'll find out for sure when The Dark Knight Rises hits theaters on July 20th.